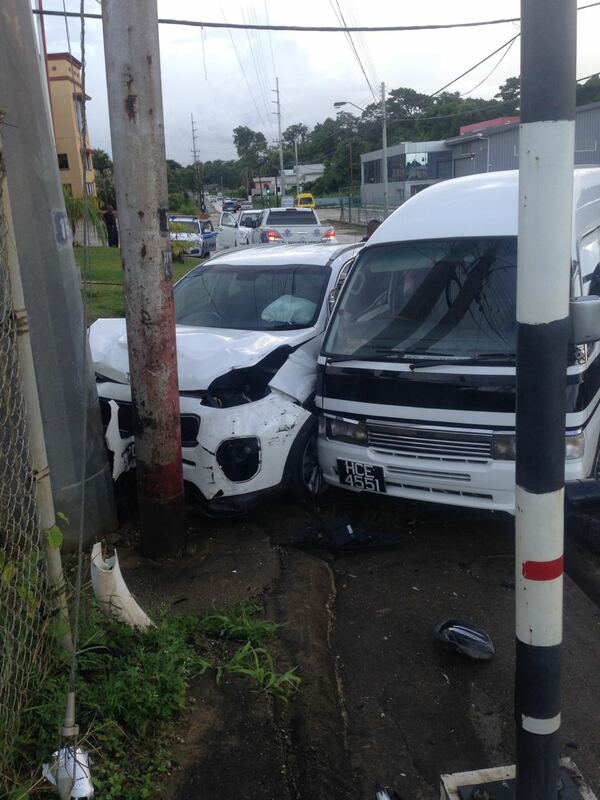 Former HDC managing director Jearlean John escaped serious injury on Thursday when she crashed into a utility pole while on her way to work at Point Galeota. Around 7 am on Thursday John was driving her Kia SUV south along the Mayaro Guayaguayare Road when she tried to overtake a maxi taxi. The maxi taxi driver swerved in front of her and they collided. John’s van then crashed into a light pole. Her airbag saved her from serious injury. A shaken John went to the Mayaro Hospital where she was treated. She later went to the Mayaro Police station to report the accident. John said yesterday she was happy to have escaped serious injury, but admitted she was still shaken and in some pain. “I’m all right now and the matter is being investigated by the police,” she said in a brief telephone interview yesterday. Former HDC managing director Jearlean John escaped serious injuryon Thursday when she crashed into a utility pole while on her way to work at Point Galeota. Around 7 am on Thursday John was driving her Kia SUV south along the Mayaro Guayaguayare Road when she tried to overtake a maxi taxi which had no indicator. The maxi taxi driver swerved in front of her and they collided. John’s van then crashed into a light pole. Her airbag saved her from serious injury. Reply to "Jearlean John crashes into lightpole"